As an author of science activity books for children, I've attended my share of elementary/middle school science fairs. I cannot recall ever being surprised by a project or display that was particularly clever or original. Mostly the exhibits are the predictable volcano models, electric circuits, acid-base changes detected by red cabbage juice. Parent fingerprints are all too often all over the display and when I've asked the student about their work, they show little background or knowledge of the subject. The “fair” aspect of the event is far more important than the science. I’d like to help change that. Since most science fairs take place in March—two months away—NOW is the time to start. I like the idea of kids working together. After all, the body of knowledge we call “science” comes more from collaboration than competition. When I researched my biography of Marie Curie, I was impressed with the eagerness she exhibited when a new journal came in the mail. She couldn't wait to go to her own lab and repeat the experiments of colleagues in other parts of the world. Science is the original wiki—a communal body of work. 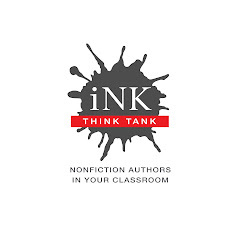 Playing with nature, asking testable questions, taking an initially informal, experiential approach to curiosity are the scientific behaviors that elementary students should be doing. The formalization of experiments and the “scientific method” can be learned after there is some experience with just playing around. My approach in my own books has always been to bring science into the world of children; let them learn something new about something familiar before subjecting them to the abstract, rigorous generalizations or laws of science that are the result of cumulative knowledge. One problem in elementary school science is that most teachers do not understand it well themselves. They need to learn to listen to the questions of children so that they become aware of the questions that can be answered by doing something. 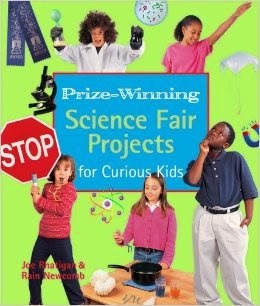 The best science activity books for children give a reason or motivation for doing an experiment that goes beyond a “wow!” or a “so what.” So if you’re looking for help, here are two books to get you started: Prize-Winning Science Fair Projects for Curious Kids by Joe Rhatigan and Rain Newcomb. This book is a collection of experiments actually done by kids for science fair project that answer kid-friendly meaningful questions and show dramatic changes in otherwise ordinary items. 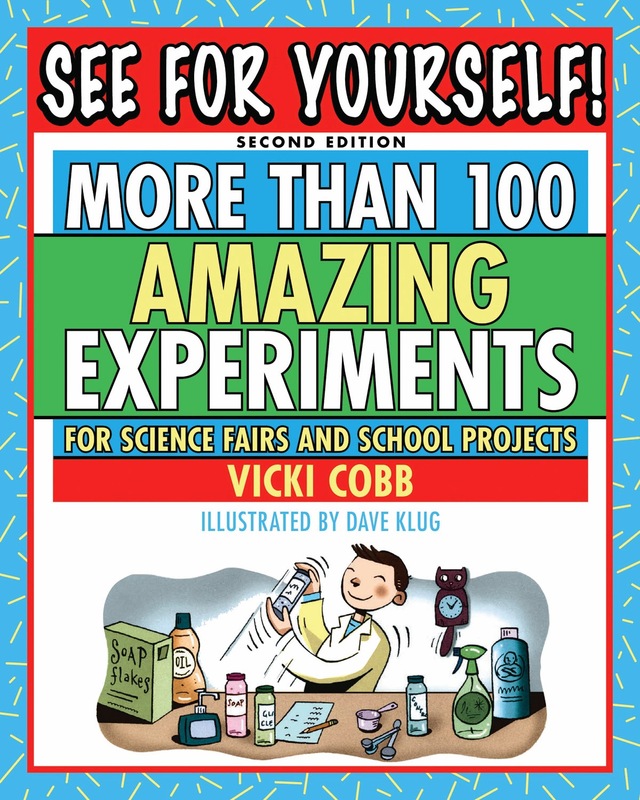 My own book: See for Yourself: More Than 100 Experiments for Science Fairs and Projects. Projects are rated according to “challenge level” so there are quickies and then there are more ambitious projects. Here's a suggestion: since science touches every aspect of our universe, find out what a child is interested in and Google it along with the word “science” and see what you get. Experiment with other word combinations but always attach the word “science.” Bring imagination and curiosity to the inquiry. If a question occurs to you or the child, don't dismiss it; think about it. You just might be led down a path of creative discovery that shows you why scientists love science. Note: I’m collecting a list of terrific science books to be published here on the I.N.K. blog at the end of January. Please send your suggestions to me along with the link to the Amazon catalog page, a brief description of the book and an image of the cover: email@vickicobb.com.